Hi all! I am home from quilt market. What an exciting time we had traveling to Portland, setting up the booth, and walking the show. I was truly amazed at the sheer talent of the those that participated in the show. 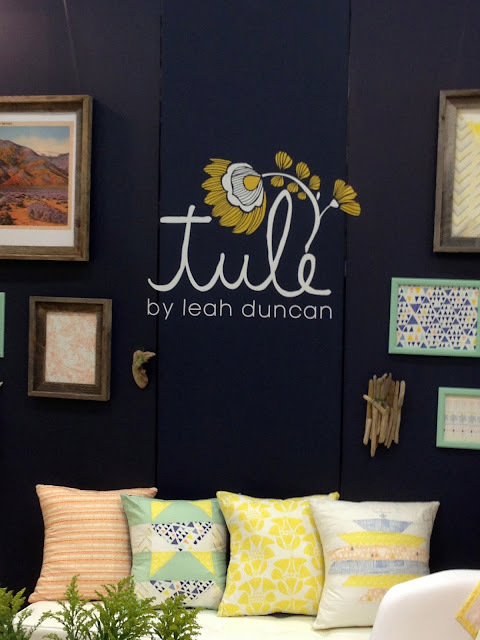 So much inspiration, from the colors, patterns, and artistry. I know much has been said about Tim's new line. 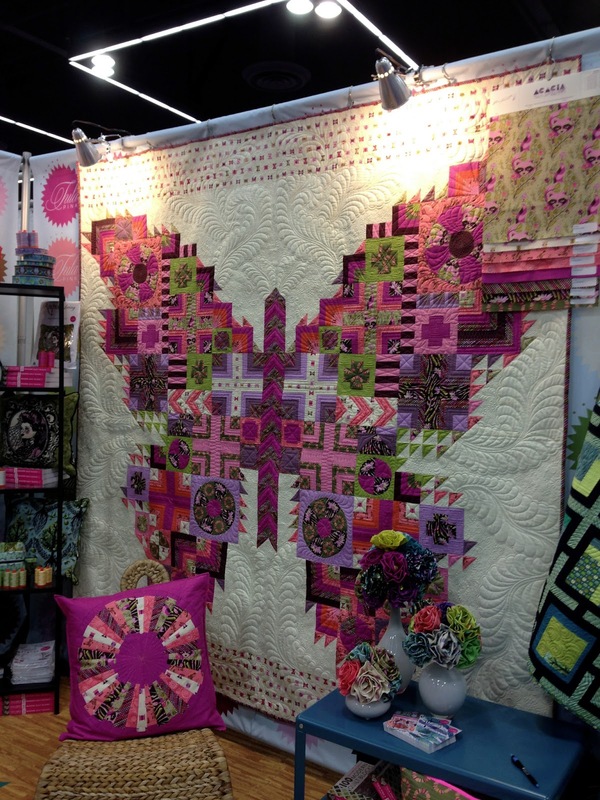 You can read his recap here and also one from my friend Richele Christensen who brought the beautiful quilt she made, helped us set up, and spent about 36 hours with us till she had to fly back home. Thank you Richele! 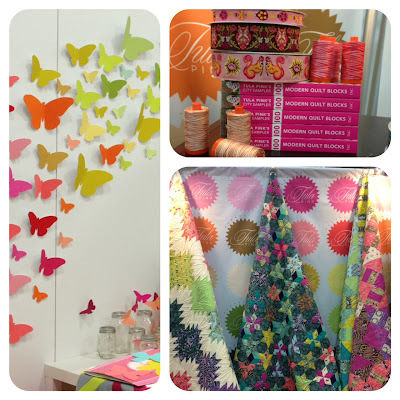 Both posts show our booth and projects so I am going to focus my post today on the inspiration I saw at the show. I hope you enjoy it as much as I did! She was fun and her booth was a burst of color. What an amazing quilt, right? The actual quilting is beautiful too, like feathers on all the solid parts of the quilt. 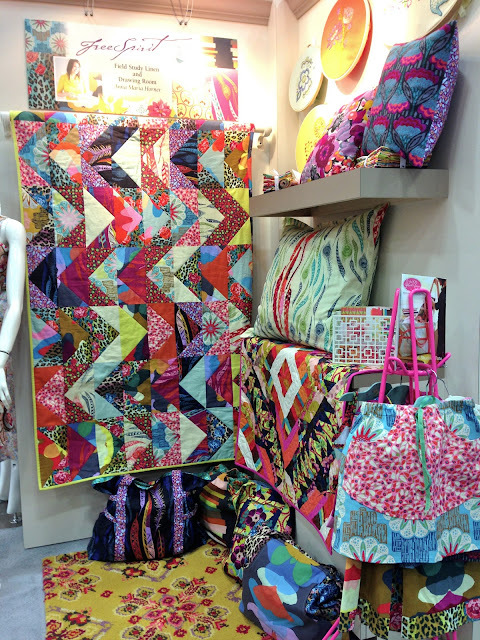 (the quilts above were also in the Tula Pink booth...love, love, love all the color). Love the quilt with the Union Jack pattern called, Victory Garden. Oh, and I like that little pink chair too! This booth was big, with at least eight "windows" showcasing the fabrics. I thought it was such a clever display idea. Sorry to say I only photographed a portion of this amazing quilt in the Hugs n Kisses booth but I couldn't skip showing it to you. Absolutely amazing detail work. Fun and fresh fabrics and great little "runner" size quilts. I stopped there twice just because I loved the colors so much mixed with chocolate brown. Really eye catching. Tule, the new collection by Leah Duncan is divine. I can't wait to see it in stores in Aug. I loved her logo for the collection too! don't you like the modern quilt with the bridge design? a totally different idea and I like that. 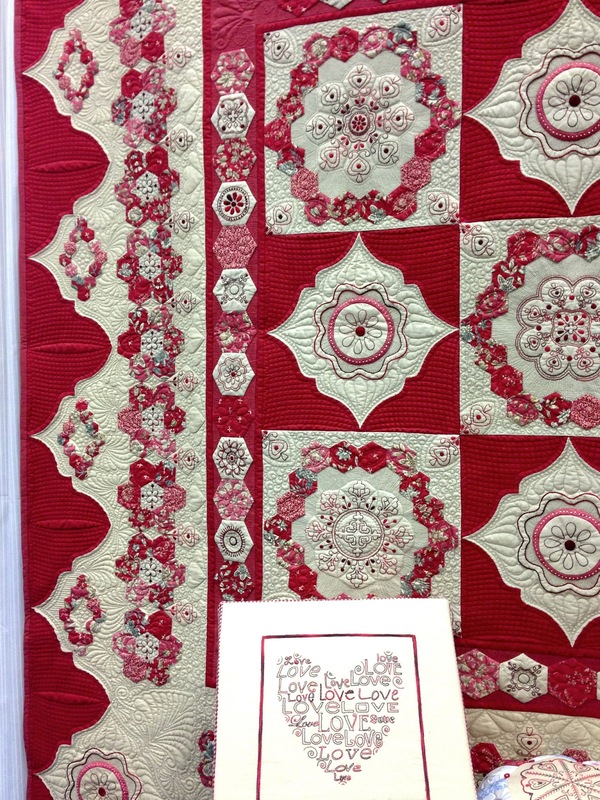 The next 4 quilts were some of my favorites from the designer "showcase". 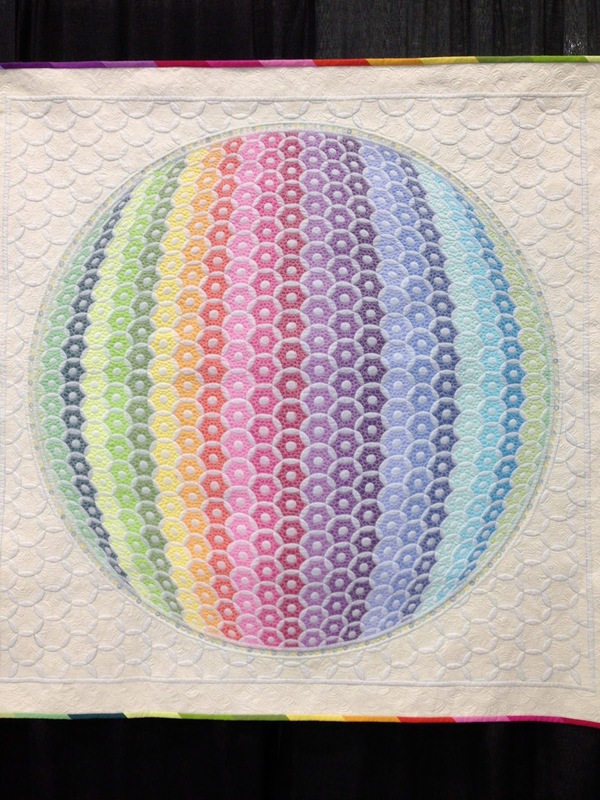 "I combined in this quilt the things I love most: color, circular design, and trapunto." 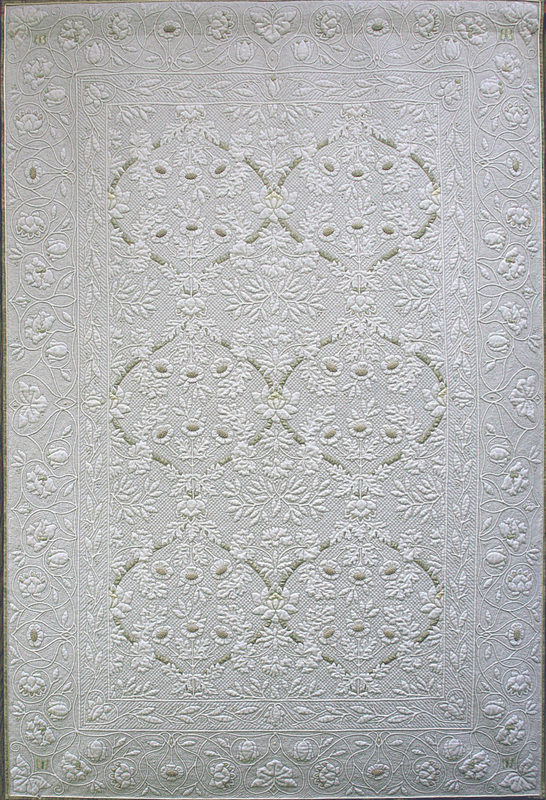 Techniques: Machine piece and appliqued, free motions machine embroidered, machine quilted. "One day, I found a box of old family photographs. One was very special. It was of my mother when she was 20 years old. I thought is would be a very nice present to make it into a quilt for her." 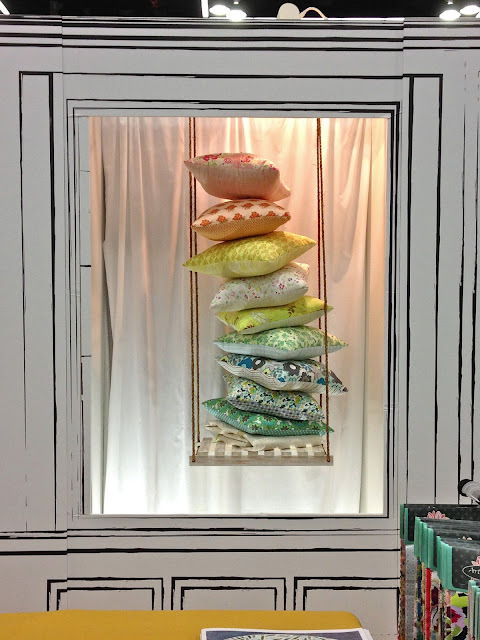 "William Morris' designs inspired me as an interior designer, and his designs continue to inspire me as a quilter. 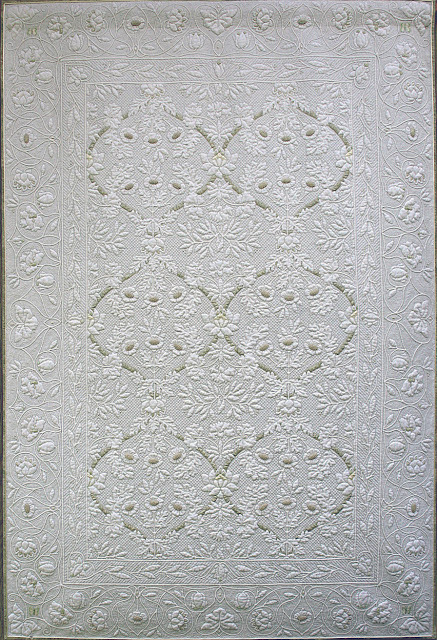 Pulling elements from his works, I created this design for hand quilting. 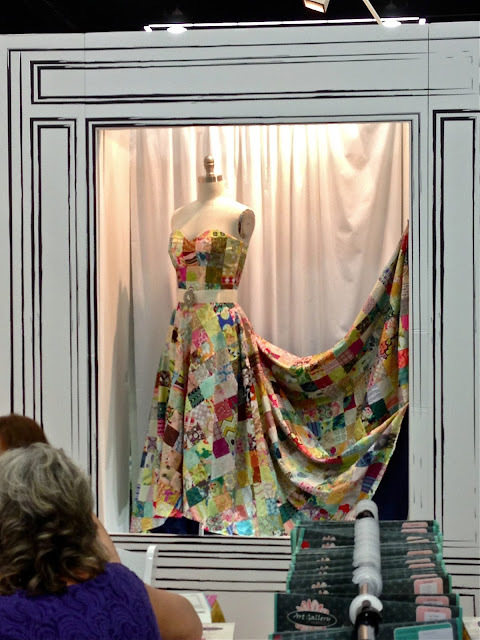 I put the vibrant green Morris reproduction backing fabric with the right side facing inward in order for it to shadow through to the front, creating a subtle grayed background." 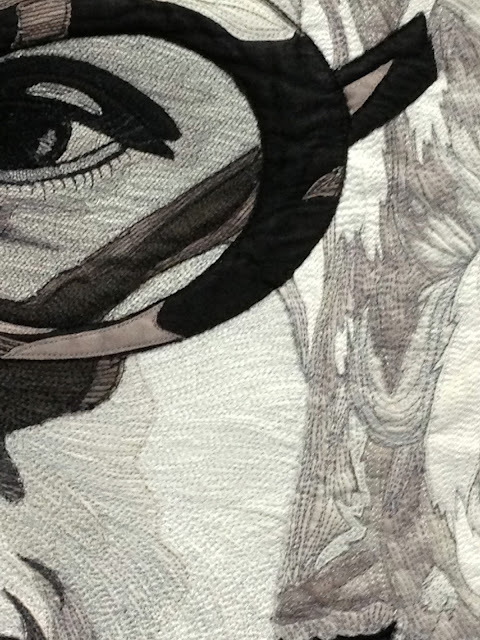 The photo above will never be able show the beauty or amazing detail of this quilt. 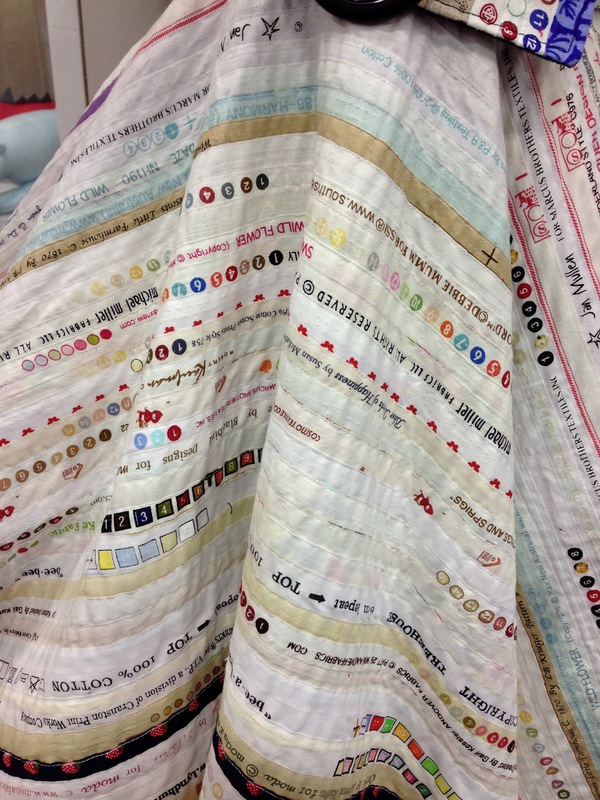 Bonnie mentions on her blog that the quilt took over 3 years to create and hand quilt. "This quilt is about the simple magic of discovery. 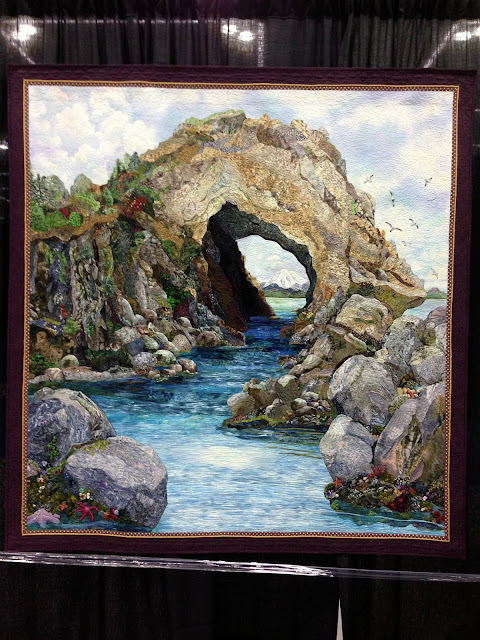 I hand appliqued 123 different fabrics to create a seascape that existed in my imagination." Well, how did you like this small selection of inspiration? I find that no matter if you are a quilter, sewer, painter, scrapbooker, or mixed media artist, inspiration can come from any source. 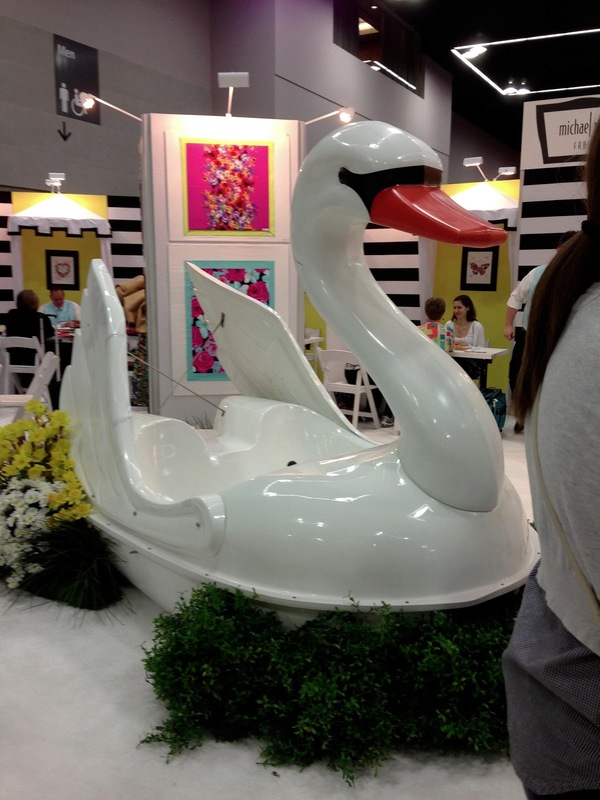 I will leave you with one last picture of the giant swan paddle boat in the Michael Miller booth. 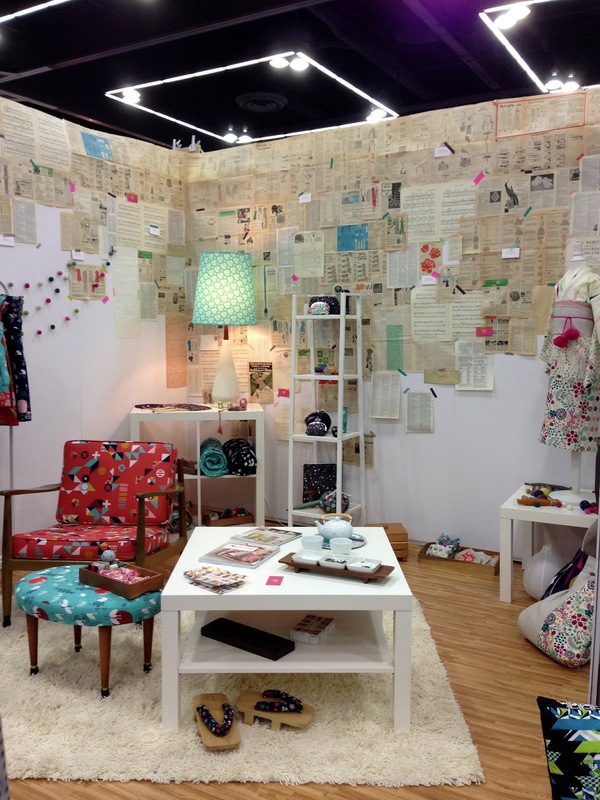 I believe they won the best booth award. Wonder where one gets a giant swan paddle boat? Craigslist? What an amazing adventure it was. Thanks go out to all the girls that created projects for us: Sande Krieger, Kerry Lynn Yeary, Allison Kimball, Richele Christensen, and Michelle Crump. You really rocked it. Cheers for a great week. I'll be back soon with more projects! Wow, it looks so amazing! The samples are just so incredible! wow! 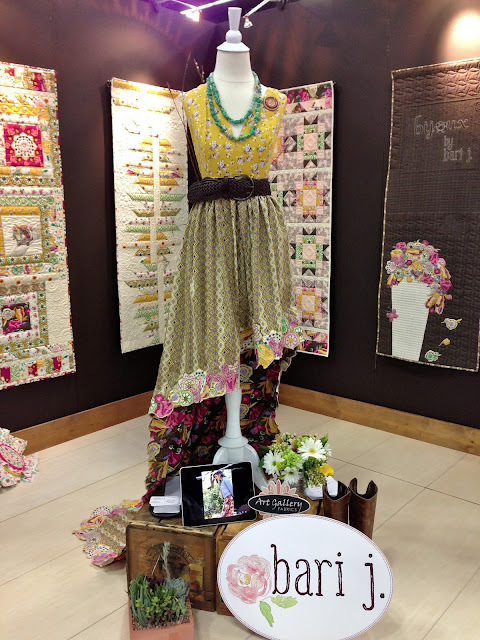 My goodness such beautiful work, and gorgeous displays...breath taking ! Thank you for sharing! The displays are gorgeous! 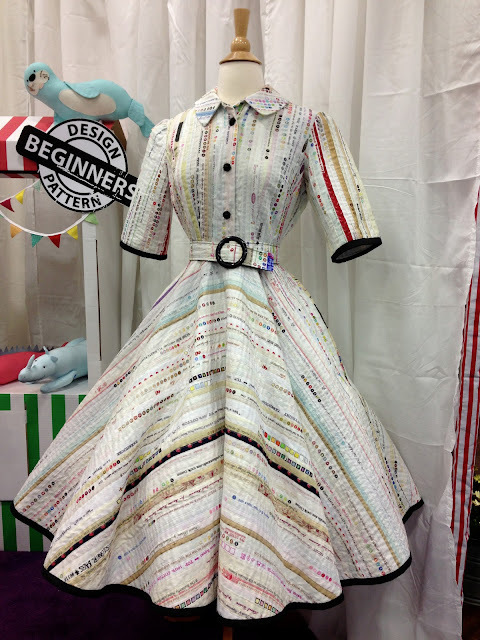 I've been feeling the urge to start sewing with fabric again, these photos certainly are inspiring! Awesome inspiration! Thanks for all the beautiful photos. Simply amazing!! Looks great and I loved the project you did. Tim is amazing. OMG - fabulous eye candy. Just stunning. I am I awe of the artistry. Thank you for sharing. Great pictures! 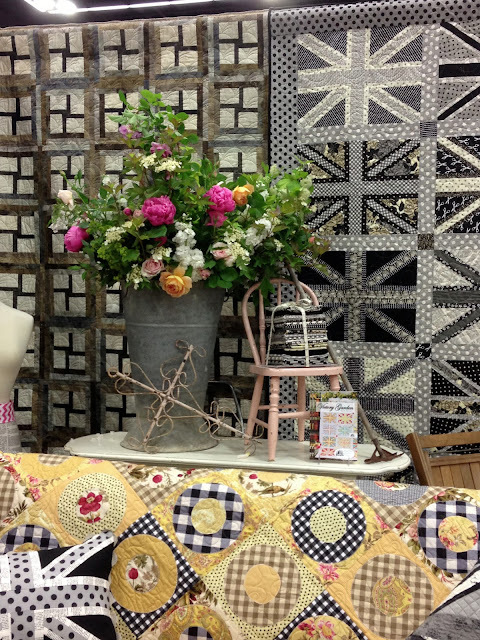 Thanks for sharing.I made the Victory Garden quilt a couple of years ago in some R/W/B French repro fabrics.Really fun and easy to do. Thank you for sharing all of this, I love every photo and quilt. Wish I could have gone, I know I would have spent hours looking over everything. Truly works of art. Thank you for sharing...each photo took my breath away. Such talent. I am in awe. These quilts are just beyond beautiful. Thanks for showing the pictures. Quilters never cease to amaze me with their brilliance! TFS, these are over-the-moon fabulous! Amazing Artist. Thanks for the review. Very cool, Paula. Thanks for taking us along! What gorgeous quilts! You must have been in awe - I would have! Thanks for sharing. WOW. Those are great. Love them. I love the dress. 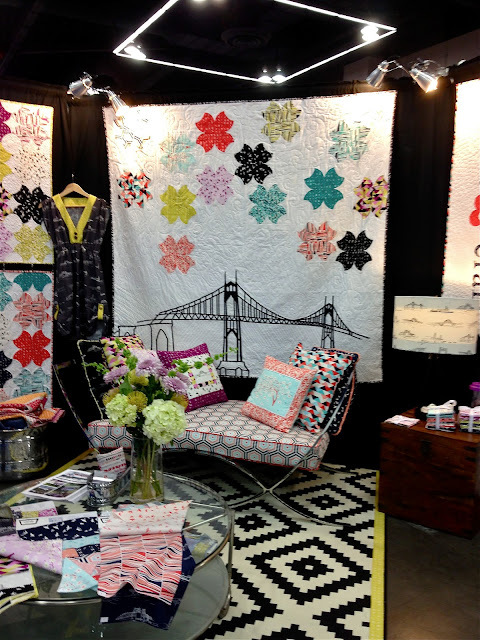 This ain't your momma's quilt show. haha. So much creativity and so many true artists. What an adventure. 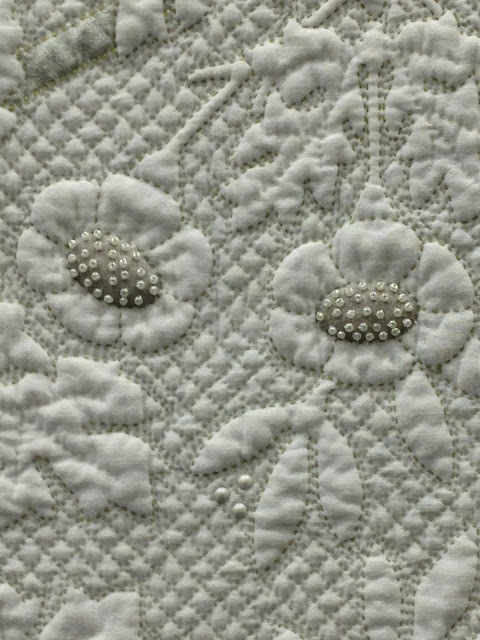 I've always been so amazed by the gorgeous quilts that people make. I went on a quilting adventure when I was in college and right after and It was hard. Mine were simple, amish inspired works and I'm happy my sister still has hers. The selvage dress? I love selvage material- I remember the first thing I saw made this way was a chair and I still drool over that chair. 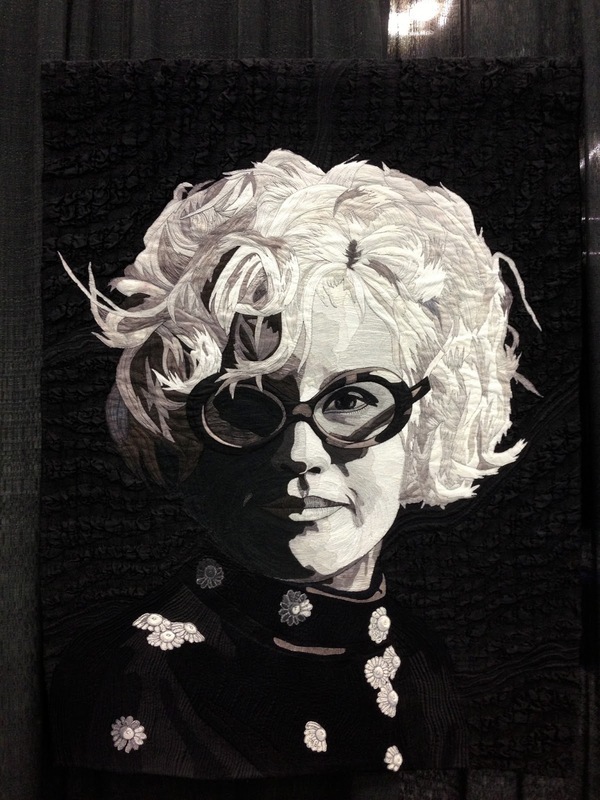 The black and white portrait quilt? Just stunning. I can't wait to see what your team makes in the future. Thank you for sharing these amazing works of art! I've never quilted and now I know why! 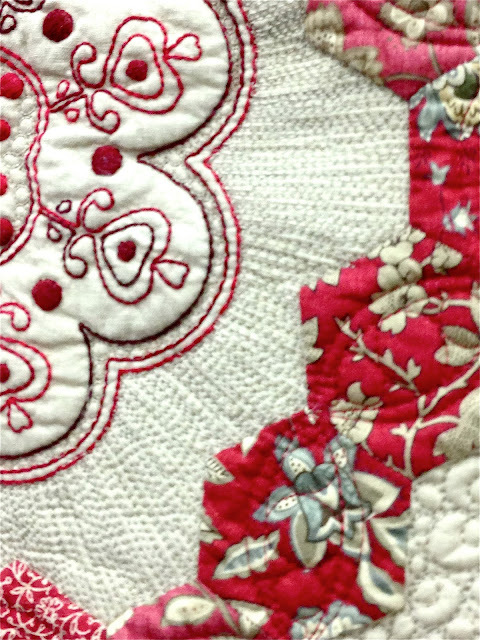 3 years to make the "William Morris" quilt! They are all beautiful and amazing but my heart really went for that one. The large butterfly quilt on the white background really has my love, too. So happy you shared this with us. Thanks for sharing your pictures. I am in complete awe of all the beautiful creations. Women have expressed their creativity via fabrics for such a long, long time. 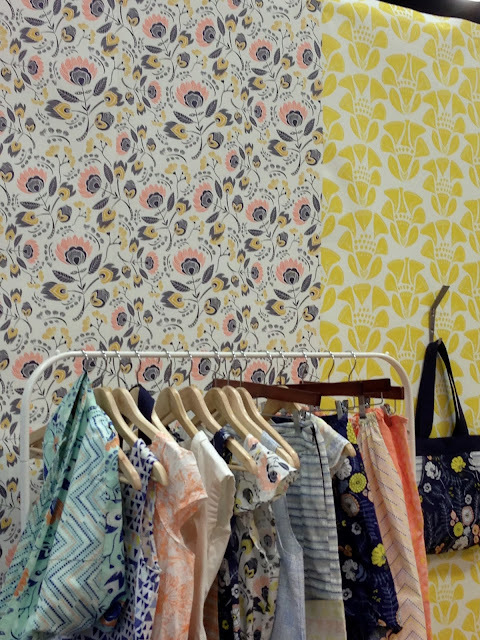 Cloth goes deep and the artists you showcased demonstrate their love for it. I really enjoyed the salvage dress. I always thought the edges were interesting but what to do with them? Now I know! 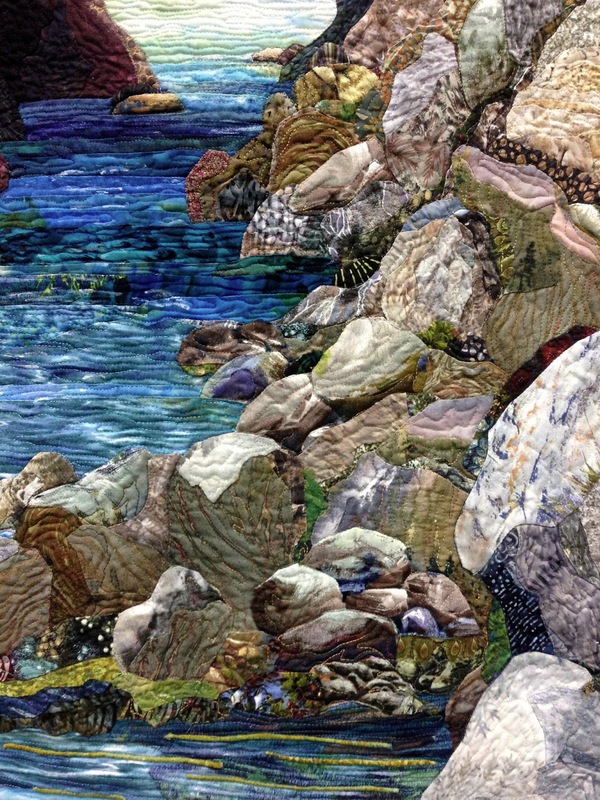 As I scrolled down, I kept saying "wow" then I got to the landscape quilt and my mind was blown. Thanks for sharing those great inspirational pics.